That at least that's how the song lyrics go. In our last "The Beginner’s Guide to..." series, we covered the The Beginner’s Guide to Understanding The 3 Financial Statements. After having an understand of the 3 financial statements, we continue the series with analysing these financial statements in order to understand the financial health of a company. In this post, we will be learning how to analyse the Income Statement. Do read the previous articles first before continuing as it will give you a firm foundation of the 3 core financial statements. The gross income is the total amount of income earned from the total sales after accounting for the cost of goods sold. The ratio of the gross income over the revenue expressed as a percentage gives the gross income margin which is a measure of the profitability of the business. Different industries tend to have different dynamics which will then influence their respective gross margins. For example, businesses that trade in commodities typically have very low gross margins, while businesses which have a differentiating factor will have a high gross margin. An industry with low gross margins typically implies that the competition is high and it is very difficult to differentiate one-self from the competition. Investing in these companies should generally be avoided. When evaluating which company to invest in, peers in the same industry can be grouped together and their gross margins compared. The higher the gross margin, the more profitable the business. In general, a company with a gross margin of at least 10% and a gross margin above 25% is desirable as an investment grade company. The operating income is the total amount of income earned from the total sales after accounting for the cost of goods sold as well and other expenses related to the operations of the business. The ratio of the operating income over the revenue expressed as a percentage gives a operating income margin which is a measure of the company’s pricing strategy and operating efficiency. Similar to the gross income margins, the operating income margins of businesses are influenced by the dynamics of different industries. A company that is able to manage it's business efficiency will be able to keep operating costs low and achieve a higher operating income. In general, a company with an operating income margin of at least 5% and an operating income margin above 10% is desirable as an investment grade company. The pre-tax income margin is the total amount of income earned before tax. The ratio of the pre-tax income over the revenue expressed as a percentage gives the pre-tax income margin which is a measure of the company’s operating efficiency. The pre-tax income margin is important as a measure of management efficiency of the business. The conventional wisdom is that businesses have no control over tax expenses as those are dictated by law. Therefore, as a gauge of management performance, taxes should be excluded from the consideration as it is something that they have little or no control over. Taxes could be heavier one year due to tax penalties or government regulations while lesser in another due to special one-off rebates or deductions. Taxes are a necessary cost of business but they do not give us any indication of management’s operational focus and efficiency. The trend of the pre-tax income margins would also provide an indication to an investor on the future direction of the business profitability. Pre-tax income margins are a good way to compare business performance in the same industry across different countries where tax regulations are different. Unlike the operating income margin which focuses only on the operations of the core business and its subsidiaries, the pre-tax income margin also includes other miscellaneous income/expenses of the overall group (including associates and joint-ventures). The pre-tax income therefore could be significantly higher than the operating income margin if the associates and joint-ventures in the group are also profitable. On the other hand, the pre-tax income could also be significantly lower or even negative compare to the operating income margin if the associates and joint-ventures are loss-making. The net income is the total amount of income earned after accounting for tax. The ratio of the net income over the revenue expressed as a percentage gives the net income margin, which is a measure of the company’s profitability. It could also be viewed as the amount of profit that a company keeps for each dollar of sales that it makes. Similar to the gross income margins, the net income margins of businesses are influenced by the dynamics of different industries. Therefore the net income margin should be used to compare the profitability of similar industries in jurisdictions with similar tax structures in order for comparisons to be meaningful. The trend of the net income margins would also provide an indication to an investor on the future direction of the business profitability. It is worth noting that the net income taken should only be attributed to the owners of the company, excluding minority or non-controlling interest. 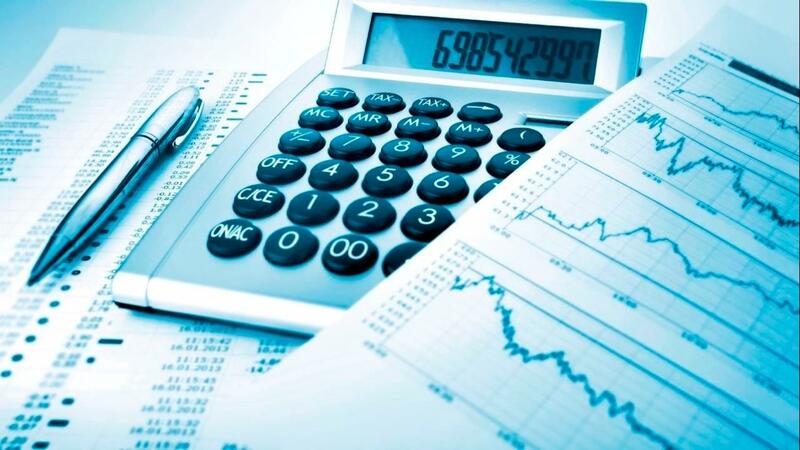 The generally accepted accounting practice is to include the full amount of profits from the company’s subsidiaries into the income statement. However, sometimes the subsidiaries are not fully owned by the business. This difference in equity ownership gives rise to the non-controlling or minority interest. In other words, the non-controlling interests are simply ownership in subsidiaries which are not attributed to the parent company. These profits do not belong to the shareholders of the parent company and they should therefore be excluded from consideration. In general, a company with a net income margin of at least 5% and a net income margin above 10% is desirable as an investment grade company. The net income is the total amount of income earned after accounting for tax. The EPS is simply the net income equally apportioned to each ordinary share, in other words it is the net income divided by the total number of shares. Typically, this is a number that is already calculated and presented in the company’s periodic reports and it may not be necessary to recalculate it. Similarly as above, the net income used should exclude the non-controlling interest. The trend of the EPS would also provide an indication to an investor on the future direction of the business profitability per share. The ROE is simply the net income over the total assets expressed as a percentage. It provides a quantitative measure of how efficiently the management is utilising its assets to generate income. Another way to think about the ROA is for each dollar of assets employed, how much income does the business generate. ROA for different businesses should be compared for similar industries in order to get a good gauge of the management efficiency. In general, a company with an ROA of at least 5% and an ROA above 10% is desirable as an investment grade company. The ROE is simply the net income over the total equity expressed as a percentage. It provides a quantitative measure of how efficiently the management is utilising it shareholders’ equity to generate income. Another way to think about the ROE is on each dollar of the shareholders’ equity invested, or how much income the business generates. 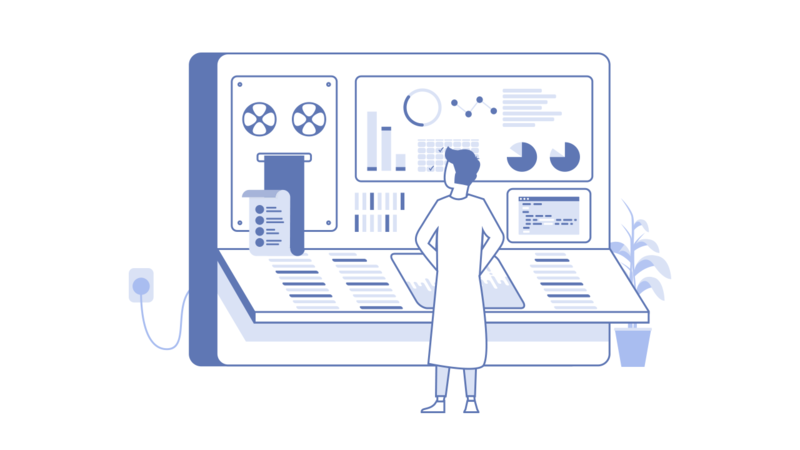 Similar to ROA, ROE for different businesses should be compared for similar industries in order to get a good gauge of the management efficiency. The principal of ROE is very much similar to the concept of ROA. However, assets could be purchased using debt (borrowings) in order to boost business profitability. ROE is not influenced by this debt and therefore is a useful measure when used together with ROA. In general, a company with a ROE of at least 10% and an ROE above 15% is desirable as an investment grade company. We hope you have enjoyed this educational piece from ProButterflyTM! Our first workshop for 2019! Be sure to check out flagship 1.5 day REITs workshop entitled REITs to Riches: Everything You Need To Know About Investing Profitably In REITs taking place on the 12/13-Jan-2018 (Sat/Sun) at the Singapore Shopping Centre. Price at $488, this is by far the most comprehensive REITs workshop available in Singapore. We focus on REITs can deliver both capital appreciation and sustainable dividends. During the workshop, we focus our learning with practical examples of real world REITs case studies both local and overseas. This is to ensure that attendees can immediately apply what they learn. 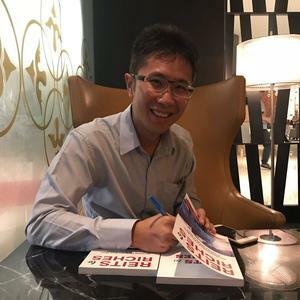 Tam Ging Wien has been an avid equities and real estate investor for over 10 years. He is the co-founder of REITScreener.com and ProButterfly.com, an independent investment site that helps investors level-up their investments in REITs, real estate and equities. His passion for financial education and training stems from a desire to help others help themselves achieve financial freedom. 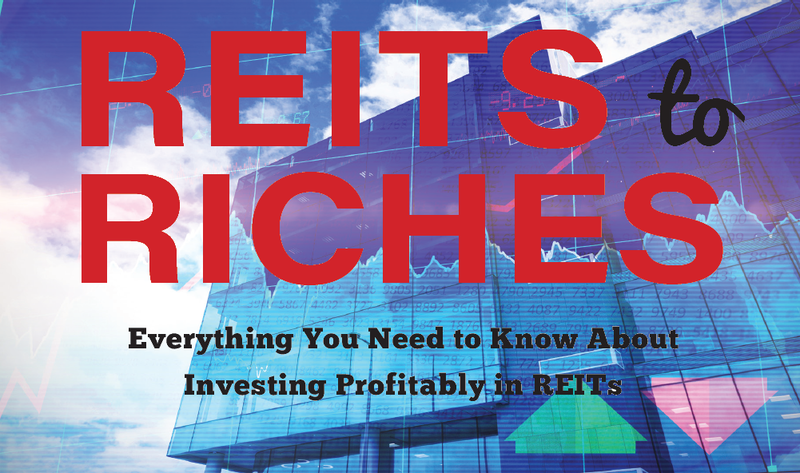 In 2017 he published his first book entitled REITs to Riches: Everything You Need to Know About Investing Profitably in REITs which became a national best-seller. He has been interviewed on national radio with regards to his views on REITs. He was among the distinguished panel of judges for the REITs Asia Pacific 2018 Awards.